Born in New York City (Brooklyn) in 1960, Professor Hershberg received an A.B. in American History from Harvard College in 1982, a Master of International Affairs from Columbia University in 1985 and a Ph.D. from Tufts University in 1989. After teaching at Tufts and the California Institute of Technology in 1989-91, he directed the Cold War International History Project (and edited the project’s Bulletin) from 1991-97 before coming to George Washington University, where he is Professor of History and International Affairs. He edits the CWIHP book series co-published by the Stanford University and Wilson Center Presses. 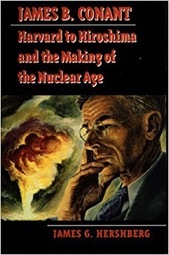 He received the 1995 Stuart Bernath Prize from the Society for Historians of American Foreign Policy for James B. Conant: Harvard to Hiroshima and the Making of the Nuclear Age. Hershberg’s most recent book is Marigold: The Lost Chance for Peace in Vietnam, co-published by Stanford University Press and the Wilson Center Press in 2012. The Washington Post named Marigold, which examines secret diplomacy during the war using long-secret communist sources, as one of the best ten books (and top five non-fiction books) of the year. He has written extensively on the Cuban Missile Crisis, and is currently working on a study of Cuba, Brazil, and the Cold War and Revolution in Latin America.